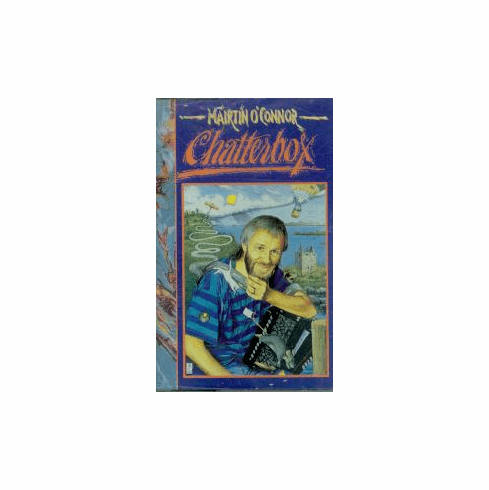 This is Mairtin's third solo album, and is in many ways similar to his second ("Perpetual Motion") with the notable difference that all the tunes on "Chatterbox" are his own compositions. It is therefore a very interesting insight into Mairtin's music, and it is clear from this album that he is moving further away from mainstream Irish music. The range of musical styles and influences which Mairtin embraces is enormous: there are still identifiably Irish tracks (three or four! ), but the album contains just as much Balkan, Parisian and Italian accordion-playing. I found many of the tracks very reminiscent of Paganini, who contributed the title track to Mairtin's last album and is gaining influence with other accordion-players such as Luke Daniels and Aiden Coffey. However, I generally preferred the Irish-flavoured tracks such as "Liquid Sunshine", "Rock Solid" and the beautiful slow air "Annaghdown Pier". To paraphase the sleeve note to track 13, "Wind in the Woods", this album could perhaps best be described as "a score of tunes with very diverse musical influences in them". This is certainly as varied a solo instrumental album as can be found: for Mairtin O'Connor fans it's a must, and anyone who likes accordions and is vaguely into "world" music will love it. The rest of you should definitely give it a listen as a superlative example of whatever it is!